FacilitiesThe resort offers internet access and wireless internet access. Guests arriving in their own vehicles can park in the car park.RoomsAll rooms feature air conditioning and a bathroom. Guests will also find a balcony in most rooms. Each accommodation unit features separate bedrooms, a double bed or a sofa-bed. In addition, a fridge, a cooker, a microwave and tea and coffee making equipment are available. 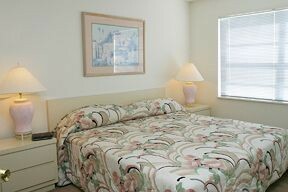 Convenient features include internet access, a telephone, a DVD player and wireless internet access. Each of the bathrooms features a shower and a bathtub.Sports/EntertainmentThe resort offers an outdoor pool. Guests can recline in the luxurious hot tub and be massaged by the hydro jets. Leisure options at the resort also include tennis and a gym.